All the best wishes to you ! Happy Birthday GeeDee, hope you have a wonderful day! Happy Birthday wishes to you!!!! Starting to celebrate..... RIGHT NOW ! NA NA NA NA NA ! Hey! 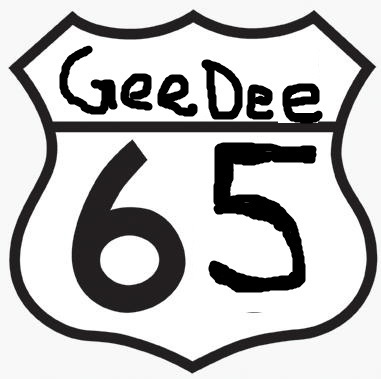 Happy birthday, GeeDee. May you have many more!!! Have a great birthday Gordon, here's to the next 65! Here is another beautiful day. Enjoy it with family and the ones that you love, and love you. Long life to you, my friend ! Well thank you very muchly my good friends... it brings tears to my eyes... caught it in the zip on my trousers again!!! Bwaaaa!!!! Excellent cake Lauter my friend and you even though of the teeth to eat it with... so thoughtful!! Yes dear Gordon! Long life to you! All the best to this beloved friend and fellow here at Evolution. I wish you have a great day together this lovely family you have! We all love you very much, Gee!! Cheers! Have a great day and that all your wishes come true. Make a party with your family and all your friends. Enjoy your Birthday, my friend. Thank you guys for your wishes and advice ya Ozzy bugga! He he.